The maker of the world’s smallest surgical robot Cambridge Medical Robotics announced that its robot should be available for procedures on patients by the end of 2018. The robot created by Cambridge Medical Robotics called “Versius” can be used to perform a wide range of surgical procedures, including hernia repairs, colorectal operations, and prostate and ear, nose and throat surgery. The robot eliminates the need for traditional open surgery as a series of small incisions are instead used. Versius mimics the human arm. It has four wrist joints, giving surgeons the freedom to operate on the patient from whatever angle they want. The robot’s creators used the technology used in smartphones to process information, and gear box technology originally designed for the space industry to enable the robot to move. A human surgeon controls the robot at a console guided by a 3D screen in the operating theatre. This surgical robot, for instance, detects resistance to ensure that the correct amount of force is used when the instruments are inside the patient. 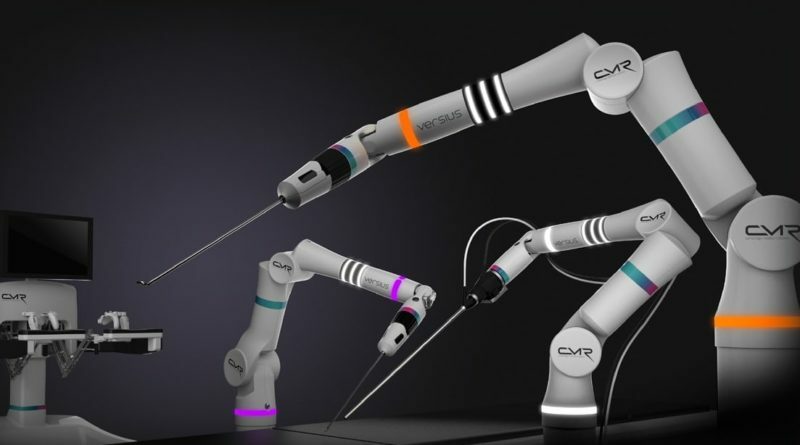 In order for robots to revolutionise the way surgery is conducte, he said, the machine must be versatile, easy to use and small so that staff can move them around the operating room and between operating theatres, or pack them away when they are not being used. “Our robot does all of this and is the first robotic arm to be designed specifically for laparoscopic surgery,” Frost said.